The novel features a sexual predator who kidnaps and holds young girls captive for his own deviant desires. 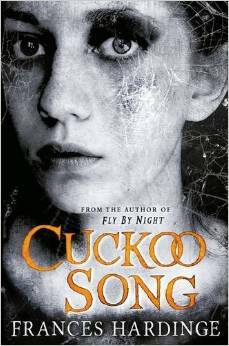 Diabolically this very real horror exists to inspire the plot of the novel, but it is important to reaffirm here that Norton handles the horrors with a commendable balance of honesty without sensationalism or exploitation. At heart the novel comes down to more than the evil deeds. Its plot is ultimately concerned not with who is committing the deeds, but to how they can be stopped. And the predominant theme focuses on the possibility of recovery and healing. Reeve LeClaire is a young woman in her twenties who is trying to adapt to a life of normalcy ten years following her fortunate escape from a four-year captivity by a sexual predator who kidnapped her. With the support of her family and the capable professional care of psychiatrist Dr. Lerner, Reeve has slowly made significant steps of recovery, despite still bearing significant scars both physical and mental. Reeve now answers a call from Dr. Lerner to take a further step in her healing. The parents of a young girl named Tilly who has just been saved from a captivity resembling Reeve’s have asked for Reeve to help mentor and guide Tilly through the jarring first days of her restored freedom, her presumed safety back at home. Though Tilly is rescued from captivity and a confessing suspect has been captured, authorities are still concerned about a pair of girls still missing under similar circumstances, and hope that Tilly will open up to Reeve in shedding light on the remaining mystery. Reeve soon discovers that the captured abductor of Tilly merely acted under the control of someone else, someone far more powerful and devious who continues to exert powerful control over Tilly, a monstrous man who represents a threat to Tilly’s entire family and now to Reeve herself. Norton is previously known for her works in the true crime genre of nonfiction, accounts of actual events that correspond to this fictional novel. Her subject familiarity is evident in how authentic the plot and characters of The Edge of Normal come across. Reeve’s building involvement in a criminal investigation is handled reasonably and the resolution of events through a combination of skill, persistence, and luck adds to realism overall. The villains by the nature of their crimes are very difficult to sympathize with, particularly the man in control, Duke. Yet Norton manages to give humanizing, sympathetic aspects to the other criminals, despite their monstrosity. By far Reeve is the most impressive, a complex character of both weaknesses and strengths, but certainly of resolve. The ability of Duke to control his victims rests on his carefully structured double life and system of predatory surveillance. He has created a highly structured life for the goal of preying on others. Norton shows this in contrast to the carefully structured life of Reeve who is using the order instead to overcome her victimhood and to aid others. What is really interesting in this thriller is that a large drive in the plot involves a reversal of control, as the carefully laid plans and systems set in place by Duke are overcome and overwhelmed by the intelligence and commitment to healing (Tilly’s) that Reeve holds. Duke’s control (including of self) begins to slip and the erraticism of his psychology begins to manifest just as the erratic uncertain psychology of Reeve begins to find stability, despite the resurfacing of painful memories and monsters from her past. The strengths of The Edge of Normal lie not just in what the novel provides with its characters, pacing, and page-turning suspense, but also in what Norton wisely chooses not to do. The critical avoidance of exploitation I already mentioned. Norton also allows Reeve to stand on her own. There are people of support and inspiration in her life, including men. Yet, at no point are these male figures the source of her rescue or salvation. Given her abusive past, Reeve understandably finds physical touch, romantic relationships – indeed any deep relationship – difficult. Her character grows in this novel, but Norton doesn’t absurdly rush Reeve ahead in anything. Reeve develops the start of a close relationship with a young male police officer in this novel – merely in that they talk honestly, a bit deeply, and there is an obvious attraction on the part of the man. But it thankfully stays at this level. There are hints to how Reeve may develop for future novels, but it is clear that much growth is still possible to provide a satisfying series. The giveaway from Goodreads that provided me a copy of this novel from the author seems organized to coincide with the upcoming release of the second Reeve LeClaire novel, What Doesn’t Kill Her (entitled Hunted in the UK). I am hopefully getting a copy of that soon, so look for a review on that coming. 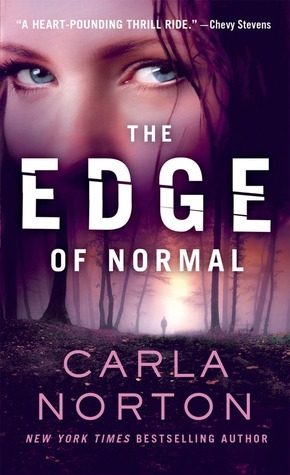 Another giveaway for The Edge of Normal is now running on Goodreads, so go there to sign up if you haven’t yet read this first novel and are interested. Disclaimer: I received a free copy of this from the author via the Goodreads First-Reads Giveaway Program in exchange for an honest review. Read the full review piece here! Read the full review piece here, and also check out the accompanying interview I did with Ellis on the book, the series, on writing YA/middle-grade novels, on being an indie author, and more! Ninth in Strahan’s series of yearly collections, this is the first one I’ve read and it’s now a series I’ll be striving to fit into the reading list for years to come. It tends to favor the longer length of novella over shorter works, a factor that I’d a priori consider a major strike against. I’m not a huge fan of novellas, but there are certainly cases where they work exceptionally well for my taste. Most of the ones in this anthology do just that. As I write the paragraphs that follow I realize that a lot of the stories also tend towards the darker side, particularly the fantasy. I tend to like that style/ambience in stories, but obviously some readers may shy away from it. 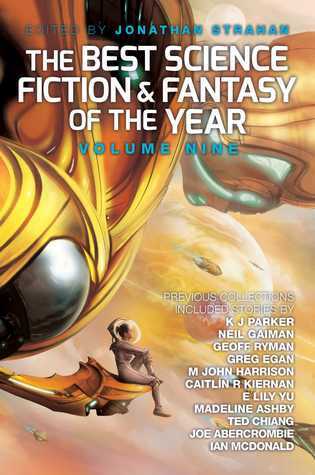 The six stories that volume 9 begins with are all superb, representative of the quality and variety to come. I had already enjoyed both Ken Liu’s story and an earlier print (original?) of Holly Black’s fun space adventure with a compelling pair of characters (one human and one alien) and the interesting themes of monstrosity and the discoveries during coming-of-age. Kelly Link’s beautiful story is part urban fantasy and part fairy tale on family and friends set at Christmas. Similarly, Bacigalupi’s story is a fantasy hailing from the same original themed collection, but this one (unlike Link’s) is full of a darkness, a broken world, that I’d expect from him. Used to the SF stories I’ve normally seen from him though, this was a nice change done just as well. (I really need to read Monstrous Affections it seems). I’d already also read the latter story by Alice Sola Kim in Tin House that was reprint in Monstrous Affections too, and it is equally superb, though grounded in realism. I have MITs Technology Review fiction issue on my shelf to read, and experiencing Beukes’ story from it in Strahan’s anthology makes me more eager to get to it. I’d only read Beukes’ The Shining Girls prior (which I found over-rated, but okay). The hard sci fi from her in this story is superb, featuring competitive sports and artificial enhancements taken to the next level. The tech is interesting here, but the humanity and depth of her protagonist is even more astounding. Among those opening six, Usman T. Malik is yet another that blew me away with its effective treatment of terrorism and violence from a large scale focused down to the personal human level. This one just won a Stoker Award, and understandably, it is perhaps more horror than SF – and I recognize Malik mostly from appearances in Nightmare Magazine. Malik has another really powerful story in the themed collection Truth or Dare, that I’m reviewing next up. If you haven’t checked out his fiction yet, try either of these recent reprints. A latter story by Nix previously read in Fearful Symmetries also is truly horror in genre, though also a great story. I remember it vaguely from reading prior, but I think I enjoyed it this second time round even more. The vague disbelief that I was so thoroughly enjoying these relatively long stories without growing restless or annoyed that I couldn’t finish in a bus ride finally broke with the seventh story, Abercrombie’s adventure from the Rogues collection. I have no idea if this is the case, but it felt as though I was supposed to already know these characters from somewhere, and I found it difficult to get into. Ultimately the story just kept going and I was long past caring. Swanwick’s story later from the same collection had the same effect. Egan’s also felt as though it was just a part of something larger, not a tale of its own. Valentine and Griffith have a pair of stories that have a sort of ephemeral fantasies that have a beauty in the language but a strong tinge of darkness in their plots and ambience. Fitting in to this kind of story, Amal El-Mohtar’s “The Truth About Owls” is one of my favorites from this anthology. 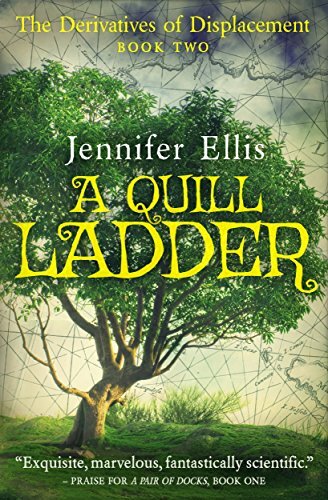 She does an absolutely beautiful job relating the life of her protagonist with interludes about the biology/behavior of owls, with mythology, and with language. I read this one right before going to sleep one night and it made a fantastic bed time story. Lastly, there were a few cases that surprised me, both negatively and positively. (Abercrombie was kind of one too given that I loved the only other thing of his I’ve read: Half a King.) First, the story by Wilson is on an important and relevant theme of racial issues, explored partially through a fantastic lens. I expected to adore it and be moved. Instead I found the structure and length to be an impediment. Second, Ellen Klages is represented with two stories here, I found this surprising, inexplicable. One would have sufficed and given room for something else. I didn’t find either bad, but neither impressed me to understand why both were here. Third, I really enjoyed Schroeder’s SF adventure. I haven’t liked a lot of his stuff in the past in Analog, but this is probably because they were mostly serials. Here it felt just right, and his strength in telling a good story with hard SF elements and a bit of optimism fit perfectly amid the other types of stories in the collection. Any serious fan of SF/Fantasy should find things of joy here, and readers who don’t normally read the genre may find the novella lengths that mostly make this up to be perfect for dipping into some of the best authors in the fields. They vary from the simple entertainment to the literary, from the fantastic to the realistic. Although I’d read a decent number of those included in this before, almost all that I had (if not all) were ones that initially had really impressed me. (The only ones not already mentioned above are “Someday” from Asimov’s and Theodora Goss’ story, which is a fantastic achievement in making a compelling story out of something that reads like a nonfiction, a history.) I appreciated reading all these stories a second time, affirming to me that anthologies are useful even if you’ve read the fields somewhat well. 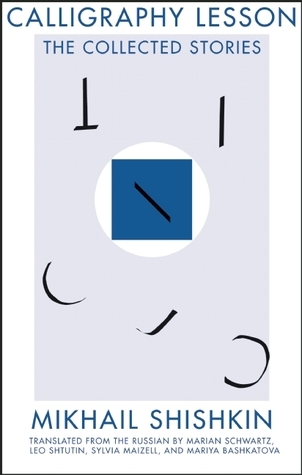 Disclaimer: I received a free copy of this from Solaris via NetGalley in exchange for an honest review. Though it’s the second book in a new paranormal mystery series by Harris, I didn’t have much problem getting into Day Shift without having read the first book that gives the Midnight, Texas series its name. Midnight is a tiny, one-traffic-light town with a collection of eccentric residents with closely guarded secrets who appreciate the relative quiet and privacy that their isolated Texas community provides. If you’ve read the first book, you’ll be familiar with the Midnight residents, but if you’re new to them as I, you’ll find yourself being introduced to these handfuls of characters in the first few opening pages of Day Shift. This may be a bit overwhelming at first, but I quickly got steadied, and Harris does a really good job in providing new readers contextual reminders when these characters return to keep things straight. Likewise she summarizes past events and revelations from the first book sufficiently that a new reader won’t feel behind the news. She nicely does this info-dump of already established matters in pieces, largely unobtrusively. Several of the town’s residents get their own point-of-view sections in Day Shift, but the main character Harris brings closest to the reader is Manfred Bernardo, a professional psychic whose powers have their moments of strength, weakness, or absence, but who always tries to keep his client experiences as professional and honest as possible. While on a trip to Dallas to hold client sessions, Manfred notices at a restaurant one of Midnight’s mysterious residents, Olivia, talking to a couple over dinner who turn up dead the next morning. Drawn into this through association, Manfred’s day goes even further south when one of his more wealthy clients dies during their psychic reading session. Manfred returns to Midnight, but soon finds the media converging on his house after the deceased client’s son claims his mother has been killed by Manfred and that Manfred has stolen her valuable jewelry. The other residents of Midnight don’t appreciate the sudden inrush of attention, particularly when the arrival of the media coincides with the unexpected reopening of an old hotel by a strange national corporation who brings in a handful of workers and some elderly residents to live there. As Manfred scrambles to clear his name and enlists the help of Olivia in discovering whether his client’s son had a role in the woman’s death, the other members of Midnight continue about their own business, look into the new hotel residents, and help take care of a young, rapidly growing, boy that has been mysteriously given into the care of Midnight’s aloof Reverend. Dedicated readers of Harris’ books will recognize a large number of characters from her other series. Having only read the first few of her Southern Vampire Mystery novels (and seeing True Blood adopted from them) I could pick up on references to Bon Temps, Sookie Stackhouse, and the appearance of a character from those books who briefly showed up on the HBO show as well. But it seems that Midnight, Texas is a tiny crossroads not just physically, but also figuratively within a shared-universe of multiple series by Harris. Manfred appears in her Harper Connelly novels, another resident apparently comes from the Lily Bard novels, and more. This surely makes the series a pleasure for Harris’ fans to read, enjoying the team ups and crossovers much like you get in comic books. 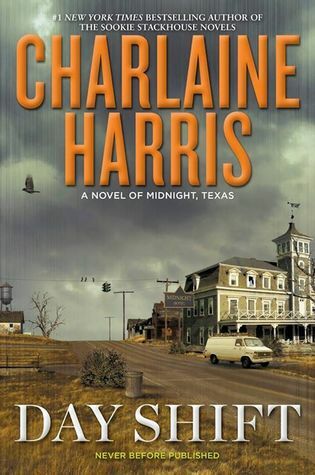 However it also makes the Midnight, Texas books an excellent place to become introduced to Charlaine Harris’ paranormal mystery worlds. While her other major series focus on a single protagonist through the books, this one deals with an ensemble cast, like a Robert Altman film – or more in tune with this genre, a lot like what True Blood became like in later seasons. Juggling multiple characters and interlocked stories can be tricky business. True Blood arguably suffered greatly in quality as secrets became revealed, characters added, and complexities propagated. Harris’ fans also seem divided on whether the multiple point-of-view writing and ensemble cast of Midnight, Texas and Day Shift work. For me, I enjoyed the characterizations and the flow of the novel, and didn’t greatly mind shifts in point-of-view. Though urban fantasies with a paranormal cast of characters, Harris’ main interest in a writer seems to be the mystery genre. Day Shift opens with a series of deaths, but only one of these crimes exists as a mystery for the length of the novel. In the grand scheme of things, figuring out who killed Manfred’s client is not as interesting as discovering why, and this criminal mystery itself pales to the myriad other mysteries hovering around Midnight. Harris uses the paranormal aspects of her world as mystery elements. The reader wants to know what secrets each townsperson is hiding, what their agenda is. There is the mystery of the hotel reopening, the odd young boy, the reclusive reverend, Olivia’s seemingly dangerous job, the identity of the elderly residents of the revamped hotel, the reason why the temporary gas station owners are staying… and many more. As in the Southern Vampire Mysteries/True Blood, many puzzles involve trying to figure out what kind of paranormal creature a given character is. Some of these many questions were answered in the first book of the series, some in Day Shift, but many still remain. The town of Midnight itself seems to be something special, drawing ‘abnormal’ people in, protecting them in some way, but it also seems the town itself needs monitoring for the good of the world, kind of like Buffy’s Hellmouth. It is easy to see therefore how readers will enjoy getting into this series or Harris’ work on a whole. It is pulp. Entertaining stories with a good dose of formulaic construction, lots of puzzles that extend across multiple books, carefully doled-out resolutions, and some easter eggs for dedicated fan appreciation. A former grad student in the lab I currently work in devoured the Southern Vampire Mysteries. They were the perfect easy read comfort to enjoy when the brain needs some relaxation. I have series that I enjoy like that too, in fantasy and SF and mystery genres. I tried the Sookie Stackhouse series, but found them tiresome. They were okay all, but they got old and repetitive on me fast. Partially this came from being already familiar with True Blood. Midnight, Texas felt more fresh to me. Certain characters I enjoyed more than others so would be eager to see more of them, learn more about them. A few I found less compelling though, so I could also see tiring of this series with time. (Some really absurdly silly names didn’t help me wanting to read more about some characters). But this mixture of characters as an ensemble makes me think that Harris may be able to get better mileage out of this series before it gets stale to all but the rabid fan. With pulp entertainment like this there usually isn’t anything deeper to discuss about the novels in terms of themes, but there is one interesting facet to the Midnight, Texas series that I picked up on that as I understand is generally present in Harris’ work: the diversity. Sometimes that diversity seems forced, but overall she does a good job of including many kinds of people/characters. But particularly with this, the town of Midnight, Texas is filled with a small number of relatively reclusive outcasts. They hold secrets, some really dark. But the various members of town are willing to withhold their tremendous curiosity of one another. They may question, but they don’t pry. They may briefly talk, but they don’t gossip. They respect one another and amazingly they support one another even when they may not know the full story. They are the personification of an accepting, reconciling community. When something threatens the town, or they discover that one of their own could be a threat to others they take care of the situation as needed, but they don’t judge, they don’t recoil. Because each knows that they have their own baggage and issues. This kind of community is refreshing to see. So, if you’ve never read Harris, or only read a bit of her other series, I think Day Shift would be a fine place to start and see if it is something you’d enjoy. Or it may be easier to start with the first novel Midnight, Texas. I’ll gladly read the next novel in the series, but I doubt I’ll go back to read the first because the main plot and revelations I already discovered in this. If you are already a fan of Harris, you’ve probably already read these, or if not your reaction may rest on how well you take to its ensemble, multiple-point-of-view nature. As a final note, Charlaine Harris is going on a book signing tour for the release of Day Shift. I had hoped to go to a local signing to ask some questions to go with this review. I haven’t heard anything yet, but I’ll put something up separately I guess if that does happen. You can check out her full schedule here and see if she’ll be in a city near you. Disclaimer: I received a free advanced reading copy of this from Ace Books as part of their Ace Roc Stars Street Team in exchange for an honest review.